The firm behind plans to build one of Europe's biggest offshore wind farms in Aberdeen Bay has confirmed it will appeal a decision blocking a vital sub-station. The whole future of the £230m European Offshore Wind Deployment Centre was thrown into doubt when plans for an essential onshore sub-station associated with the wind farm at the village of Blackdog was thrown out by local planners. But now Swedish energy giants Vattenfall, the main firm behind the development, has launched an appeal to the Scottish Government to have that judgement overturned "as early as possible". The news was greeted with dismay by Nicola Brown, who led the protests against the substation, which was opposed by more than 80% of the residents in Blackdog. She told STV on Tuesday: "I'm surprised they have taken this decision, given the scale of the vote against them last year. "We believe we put up a strong case against the substation being built and the councillors agreed with us that this application would be extremely detrimental to the community. "Yet, in another way, I maybe expected this to happen. 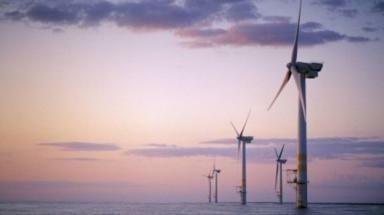 Vattenfall seem determined to build these wind turbines, no matter the damage they cause. So we will continue to fight on." The project partners behind the EOWDC have submitted an appeal to the Scottish Government Directorate for Planning and Environmental Appeals. Andy Paine, head of offshore wind development for Vattenfall in the UK, said: “The project partners have made every effort to engage and work closely with the local community to assure them that finding low level traces of asbestos in the ground is not unusual for a brownfield site such as this. “Following a detailed design process and extensive exploratory work, Blackdog is considered the most appropriate site for the onshore works and, as such, we hope that the appeal process concludes positively and as early as possible."